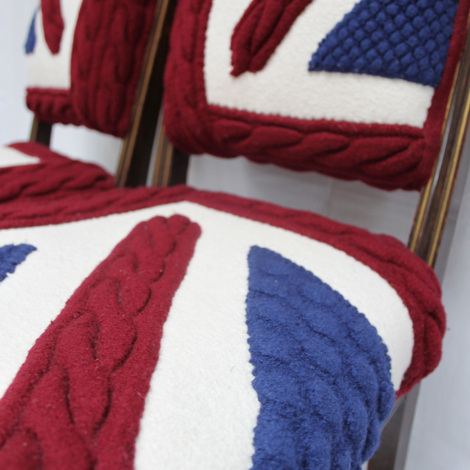 Pip and Pen were a quirky pair of side chairs with varnished wood legs which can also be used as dining chairs. 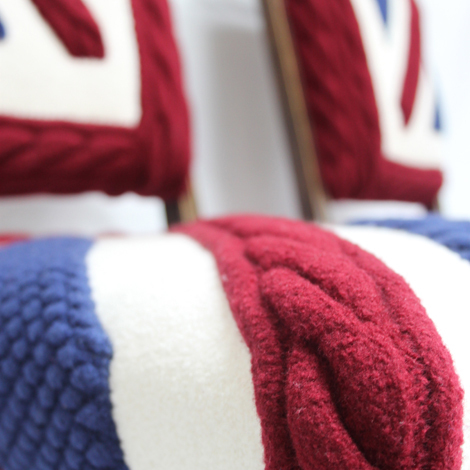 They were fully restored before being covered in a clever handknitted cable design that creates a Union Jack when the pair are placed next to each other. This pair inspired the mid century modern pair Art and Bart.